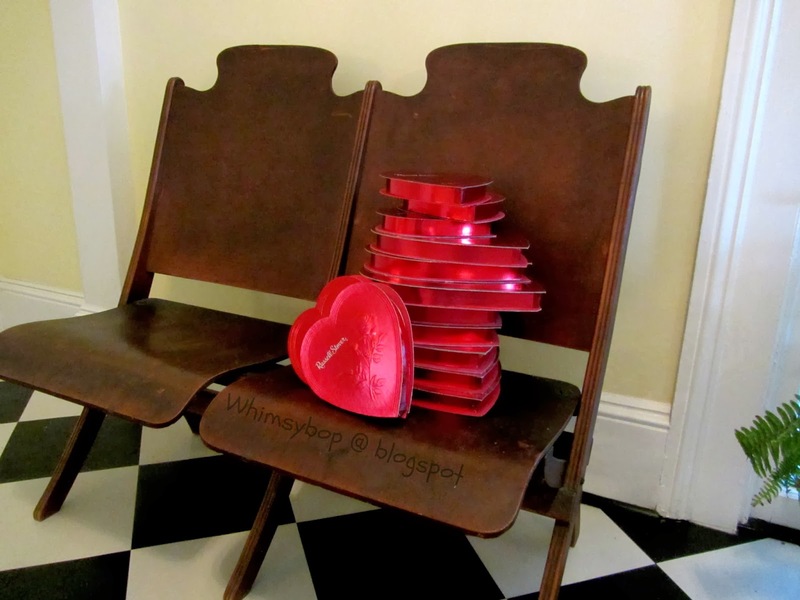 Whimsybop: What to do with an empty box of chocolates? What to do with an empty box of chocolates? 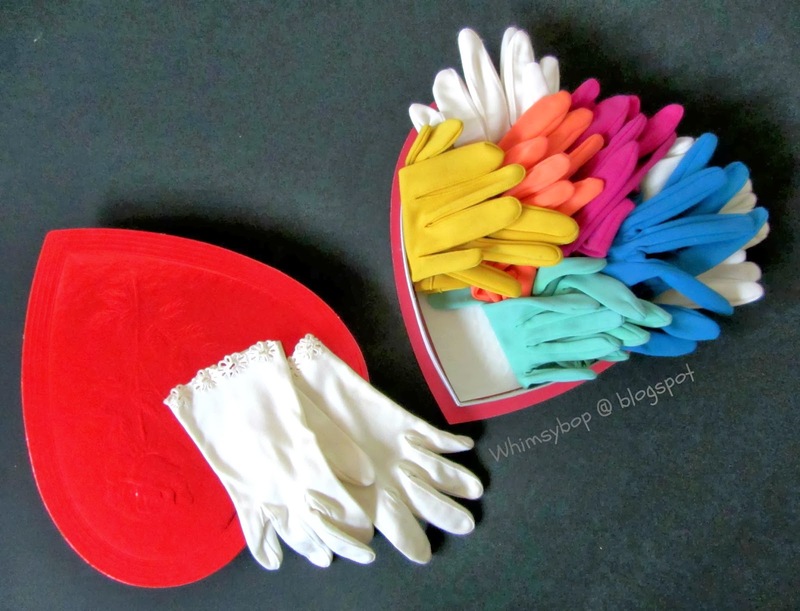 In case you haven't figured it out by now, I am a shameless packrat when it comes to certain things - like my accidental "collection" of empty heart-shaped boxes. I have no idea when I decided to stop throwing them away and to start holding onto them (let's just say it's been a while). I keep them stacked on the floor in the corner of my closet and during the month of February I let them come out to play. 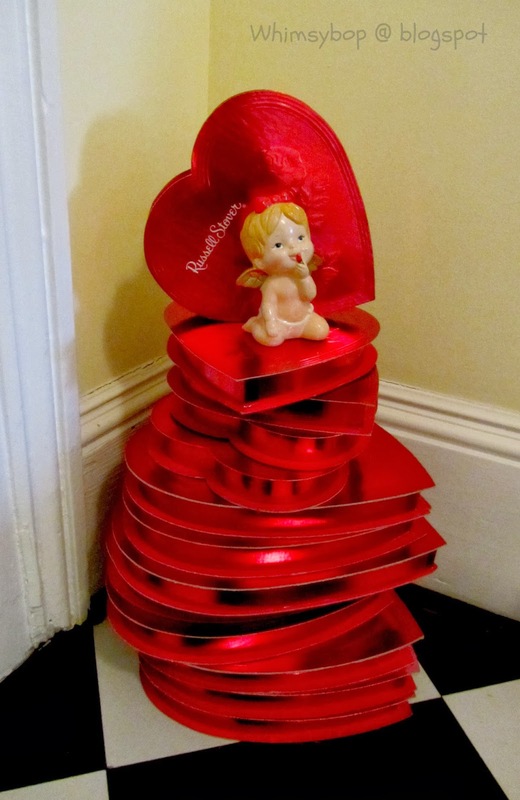 In case you've ever wondered what to do with an empty box of chocolates, I've found that they make fun February centerpieces for the table and unique displays around the house. They also make adorable boxes for one-of-a-kind gift giving. Here are a few ideas to get your creative juices flowing. 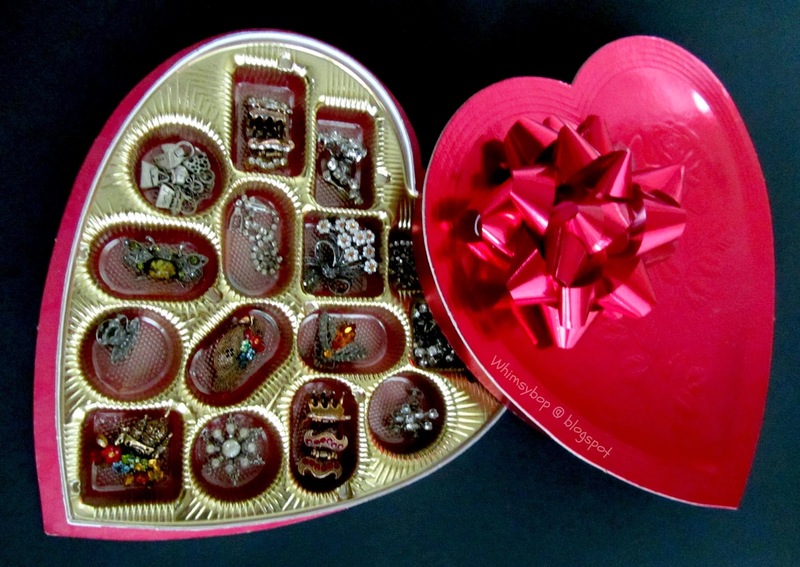 I love to display my costume jewelry in a heart shape box on the vanity in my bedroom. I fill each little compartment with small broaches and hair pins that I've collected through the years. I keep a clear sheet of vellum (cut in a heart shape) over the jewelry to keep the dust off. 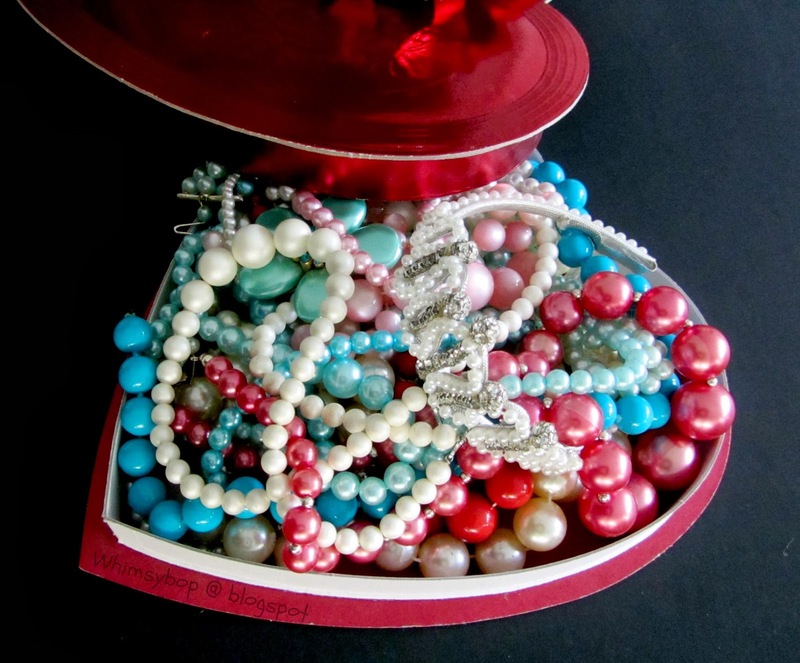 Vintage beads make delicious eye candy - just remove the inner compartments of the candy box and pile on the color! It's adorable on a bedroom night stand but also cute perched atop of a glass cake stand in the dining room. My friend Nannette and I have exchanged vintage handkerchiefs in the mail for many years now (they're easy to tuck into a birthday card). If we exchanged Valentine gifts, this is what hers would look like. 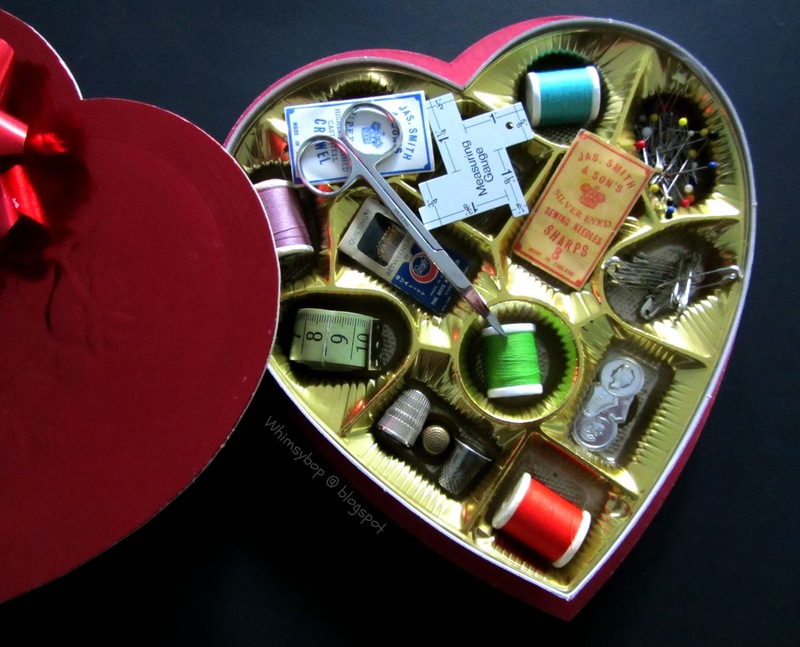 Here's another idea if your Valentine enjoys sewing or quilting. Each little compartment is filled with a sewing notion - almost better than chocolate! 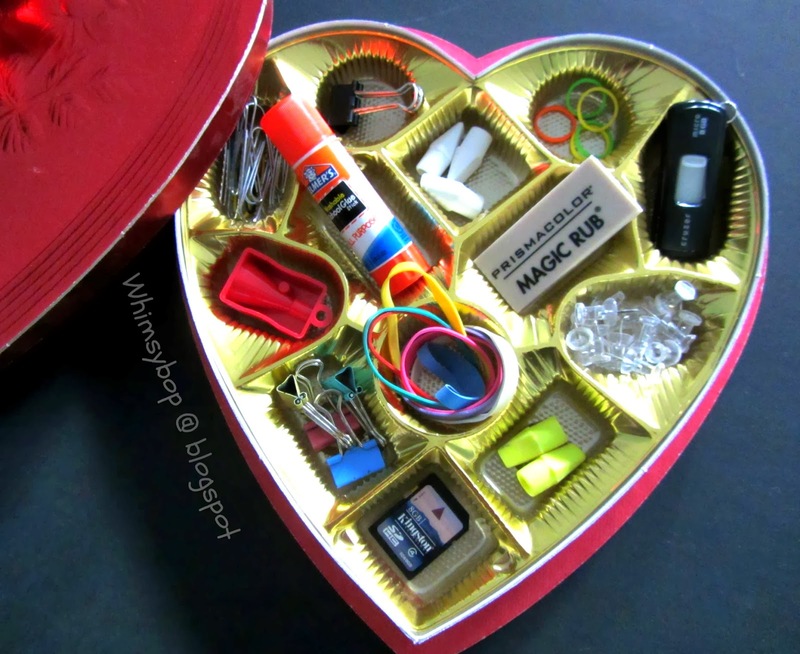 Here's an idea for a teacher, secretary, or student - a box full of office supplies such as paper clips, rubber bands, erasers, pencil sharpener, glue stick, push pins, SD card and thumb drive - who doesn't need that stuff in their desk drawer? 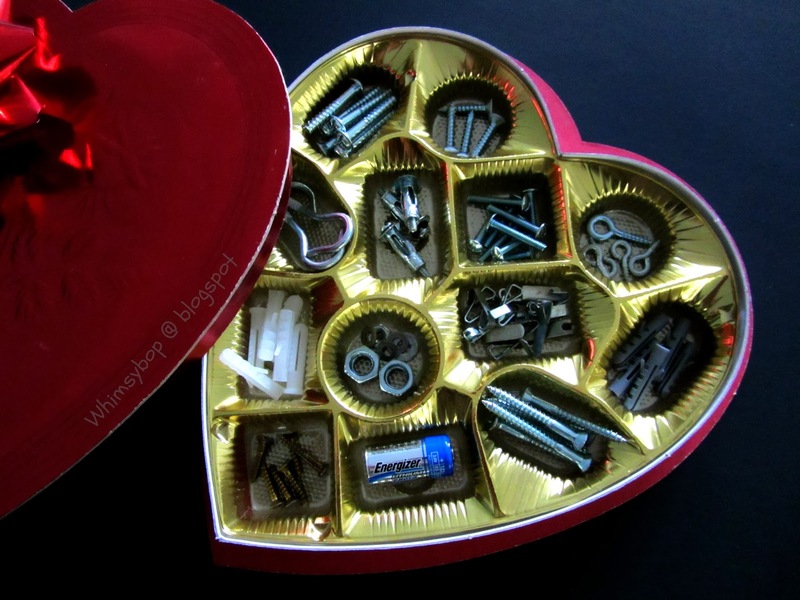 Here's an idea for the handyman in your life - enough nuts, bolts, washers, screws and nails to keep his tool box full for another year of honey-do projects! This is also a great idea for those who are moving into their first house or apartment. This last box will forever be a beautiful memory to me of my two amazing & clever kids! 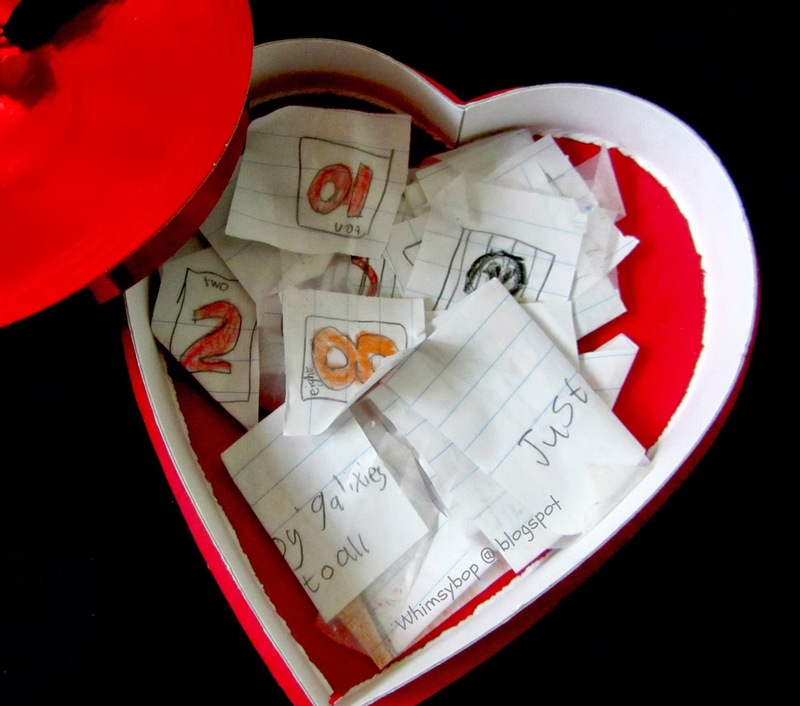 Eight years ago on Valentine's day they presented me with a clue to a scavenger hunt which took me throughout the entire house in search of more clues. In the end, guess what my gift was - a box of chocolates! Every year when I re-open this box, I get the gift of remembering a truly sweet time when my kids were precious little ones. You can make up your own scavenger hunt or for more fun, make a puzzle where the pieces have to be put together in order to read the clue which will lead you to the prize (a great idea for lots of kids to work together for a big prize at the end). Whatever you choose to do with your empty box of chocolates is entirely up to you - but don't be too anxious to throw it away. Remember to think outside of the box and keep a space in the corner of your closet just in case you decide to hang on to it. I loved your post and loved your ideas for gifts and Valentine's Day fun! How absolutely adorable and creative! 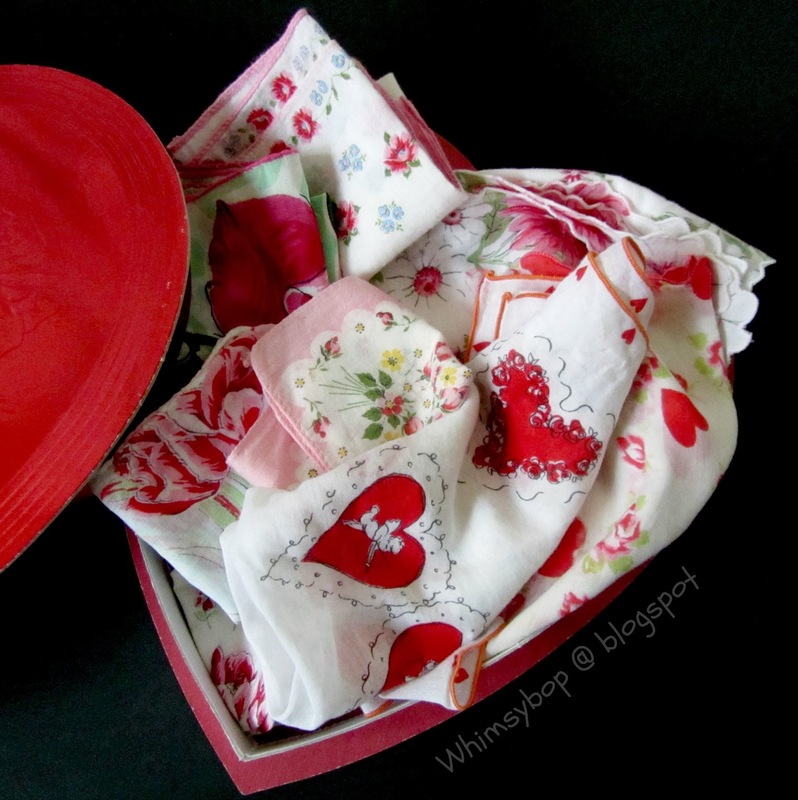 I love my tribute box of Valentine hankies. Thanks for thinking of me in your blog post. So do you do anything for St. Patrick's Day? No, Mocha Momma - other then wearing a little bit of green to keep from getting pinched and eating something green on our dinner plate for fun, the Foster's don't do much to celebrate Saint Patrick's day.